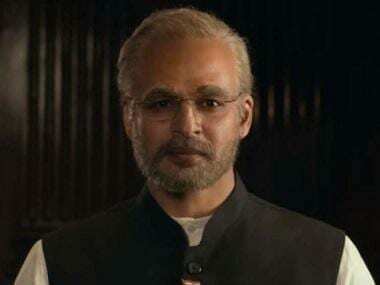 Debutant director Vijay Gutte’s The Accidental Prime Minister, the film based on a namesake book by former Prime Minister Manmohan Singh's media adviser Sanjaya Baru, has stirred up a political storm. The film’s trailer sparked off a controversy over the use of real names and the insinuation that the Gandhi family hampered Singh’s functioning as PM. Firstpost met the director to understand the thought behind the film, the timing of its release and curious casting of Anupam Kher, who’s known for his proximity to the BJP, as the Congress leader. 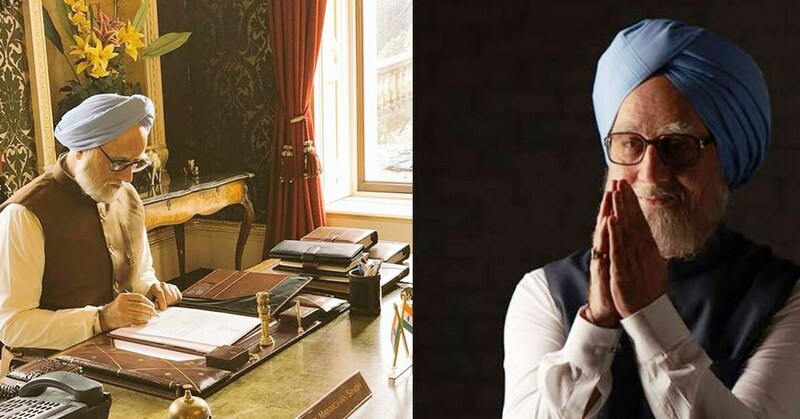 The Accidental Prime Minister movie Anupam Kher as Manmohan Singh. The timing of the movie is curious and it’s open to several interpretations. Why did you all decide to release it now (11 January), a few months before the elections? We are very happy that we are releasing the film during the election season because we would like to have a larger audience, so that in the future more filmmakers will be encouraged to make such political non-fiction films. Whenever there is an opportunity to get a larger audience it should be taken up. A political film releasing during the political season is perfect. Why reserve release dates only for festivals like Diwali or Eid? Election also belongs to people. It’s like a major event in our lives that comes once in five years. 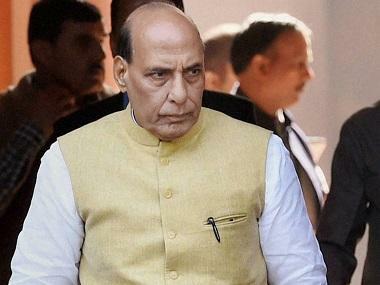 How do you answer to Congress' charges that the film has shown their leaders in poor light? You guys have not seen the film yet, please see the film and then decide. We have followed the book 100 per cent. There was no objection raised against the book and the same thing has been filmed after four years. Let’s assume they had no objection against the book, but we launched the poster one-and-a-half years ago, they could have told us then. They could have filed a case against the book then, and we wouldn’t have made the film, or no producer would have bought the rights. This is all happening after two years of hard work of nearly 200 people, of such big actors, and big producers with 150 films to their name, like Gangs of Wasseypur, Shahid, Sahib Biwi Aur Gangster. How do I explain this? Casting Anupam Kher as Manmohan Singh is very interesting. He is known to be a BJP follower, so was it a conscious choice? If you think about the actors that can be cast as Dr Manmohan Singh, I am sure even in your mind Anupam Kher's name will come first. For me, his political affiliation didn’t matter because neither did he interfere in my script nor did he ask me to make any changes. Also, he was in America when the script was being developed. He has done more than 500 films in his career. He has done films where he has played a terrorist. He has played an old man suffering from the government’s wrong policies. He has done anything and everything. So, if I am getting such a brilliant actor, then why not? He has done his own preparation. My contribution towards him may be just 10 per cent, 90 per cent is his own thing. My producer trapped me into this. I went to him with a commercial subject but he gave me this book to be adapted into film. Initially I said no, because I wanted to make a commercial film. But then, I read the book, loved it and I met Sanjaya Baru for seven days at a stretch, five to six hours each day, and that was the turning point. Baru was very impressive and I started feeling I was part of PMO (Prime Minister’s Office). I told my producer that I will make the film with my own vision and story-telling. I wanted to make an entertaining film, I didn’t want to make a serious drama based on politics. Once the producer agreed to that, I started developing the script. Was there an added responsibility to make a film on real events and real life people? I have followed the book 100 per cent, the spirit of the book is retained. There are many scenes which are not there in the book but all those scenes are in public domain, which I have used to make my screenplay look better. Did you take any creative liberties? No, I didn’t, I wasn’t allowed to. Sanjaya Baru told me to align only to the book. I was allowed to use only those things that are in public domain. That’s why I am so relaxed. There were hundreds of questions asked by the CBFC (Central Board of Film Certification), there were many justifications given, papers were submitted and after many cuts and beeps, we have got the censor certificate. Were you skeptical at any point of offending anyone? No, I was not at all skeptical. When I came on board it was 2016-2017 and the book was in public domain since 2014. Several hours of coverage was already given to the content of the book by the media. There is nothing new in my film. I have just aligned it into a screenplay which is an entertaining one. We all know the story of Mowgli, Ramayana, Mahabharata, so should we stop making these stories into films? We can always give our own take. Filmmaking is very tough and time consuming as well. You have to give two years of your life to it. You will never be a puppet and make it for anyone. I have written the film and nobody has interfered in it other than me and my writers, not even the producer or the actors. How easy or difficult is it to adapt a book? It is very difficult and I will never do it again. You can use dramatisation but you can’t use fiction. I would've loved to have the freedom of putting fiction into the film. Tell us about Akshaye Khanna's casting. I have always loved his performances. Getting him on board was difficult. It took seven days, and after hours questioning he doesn’t react much. You can’t make out what's going on in his head. During the narration, it was very difficult to understand whether he was liking it or not. On the seventh day we lost hope. One day during the narration, he suddenly got up to use the washroom, and my writer and I looked at each other thinking this is it. But he came and announced, ‘Brilliant script I am doing it’. Lot of actors don’t want to play an older man but Akshaye’s thinking is very international. He told me that I should give him a character that is hard-hitting and interesting, age doesn’t matter. I promised him that nobody will talk about his age, they will only talk about his performance, looks, style, clothes and the way he has carried the film on his shoulders. I also found him to be politically very smart and intelligent. He has an opinion on everything. He is a well-read person. I have also tried to keep things very international but massy. It will work with the auto-rickshaw drivers of our country as well as those who drink black coffee without sugar. Would you invite Dr Manmohan Singh for the screening? Yes, of course, I will invite his whole family. I can show him the film whenever he wants. I have loved working on his character and I would want him to see it. If I meet Dr Singh personally, I would just go and hug him with a smile because I have fallen in love with him. Even the audience will love him. Nobody disrespects him, not even the opposition. Everybody loves him and that will come across in the film.